Your Porsche is powered by a network of complex, expertly crafted systems. Two of the most essential are its fuel and cooling systems, which optimize fuel usage and prevent overheating, respectively. These two systems allow you to get the most out of your Porsche vehicle’s performance, and give you greater oomph on San Jose and Palo Alto roadways. As a full-service dealer, Porsche Fremont knows Porsche fuel and cooling systems inside and out, and help you keep them in working order with expert repairs and maintenance. The engine and fuel system work in tandem to not only power your vehicle, but to also generate top-notch performance, efficiency, and emissions control. Fuel is transferred from the tank to the injectors, which release a controlled amount of fuel into the engine, giving your vehicle the power it needs. Several factors can affect your car’s recommended fuel system maintenance interval, such as vehicle age, fuel quality, and your driving style. Symptoms of fuel system problems, however, are the same for all vehicles. Chances are, the “Check Engine” light in your instrument cluster will activate, and you’ll see a decrease in fuel economy, causing you to visit the pumps more frequently. Your Porsche may also stall or refuse to start. 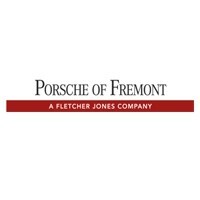 Fortunately, Porsche Fremont offers convenient pick-up service, as well as loaner vehicles, for drivers who don’t have time for a visit to our dealership. Using a coolant-circulating water pump and thermostat, the cooling system prevents the engine and transmission from overheating. The need for coolant fluid flushes or coolant parts replacement depends on factors like driving habits, maintenance history, and the quality of the fluid. To lengthen the life of your vehicle’s coolant system, as well as other crucial systems, we utilize only OEM fluids and parts. Coolant leaks, a low fluid level, sweet smells, and overheating are all signs of a malfunctioning cooling system, which should be addressed immediately to avoid on-the-road safety hazards and costly damage to the powertrain. Our team of Porsche Certified Technicians can help you stay current on coolant service, and prevent problems later down the road. Make Us Your Preferred Porsche Service Provider! Leave your Porsche vehicle’s fuel and cooling systems in the hands of the professionals at Porsche Fremont. Located at 5740 Cushing Parkway in Fremont, CA, we proudly serve Porsche drivers in San Jose, Palo Alto, and neighboring areas. To book your service appointment, schedule online or contact our service team online or at (510) 279-7060 Monday through Saturday!